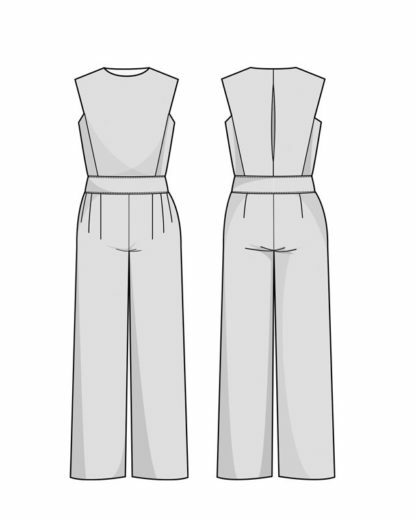 Buy the Acacia Jumpsuit or Trousers sewing pattern from Orageuse. 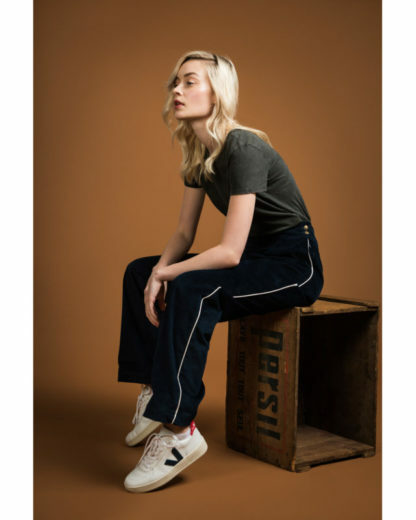 This jumpsuit is made of a bib with slanted pleats from shoulder to waist at the front and back. It has a crew neck, no sleeves, and distinctive straight, horizontal armholes. 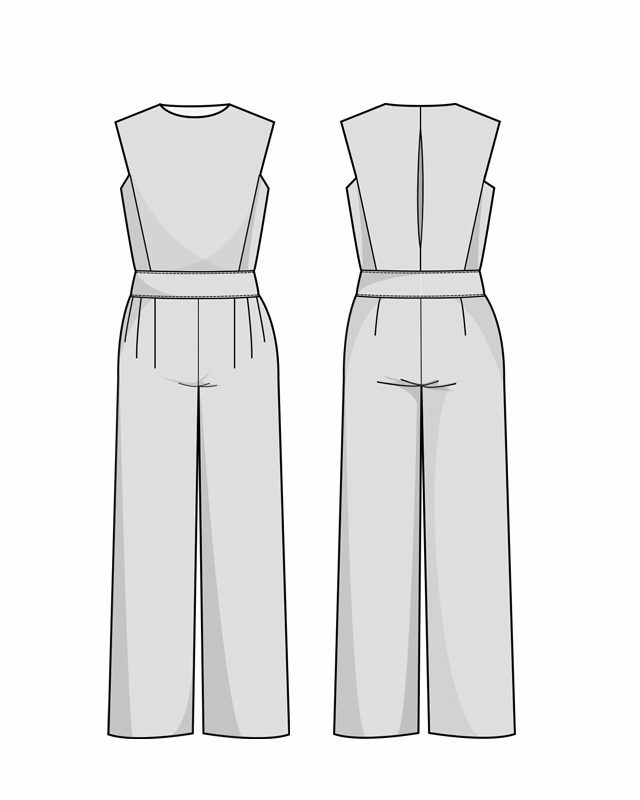 An inverted pleat structures the center back and the upper part of the jumpsuit is sewn with a wide and high waistband. 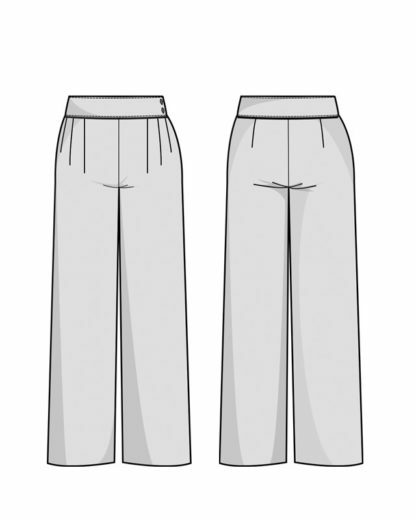 The trousers have wide legs, three darts at the front, one at the back and side pockets. The jumpsuit is closed by an invisible zipper at the left side and snap fasteners at the left shoulder. 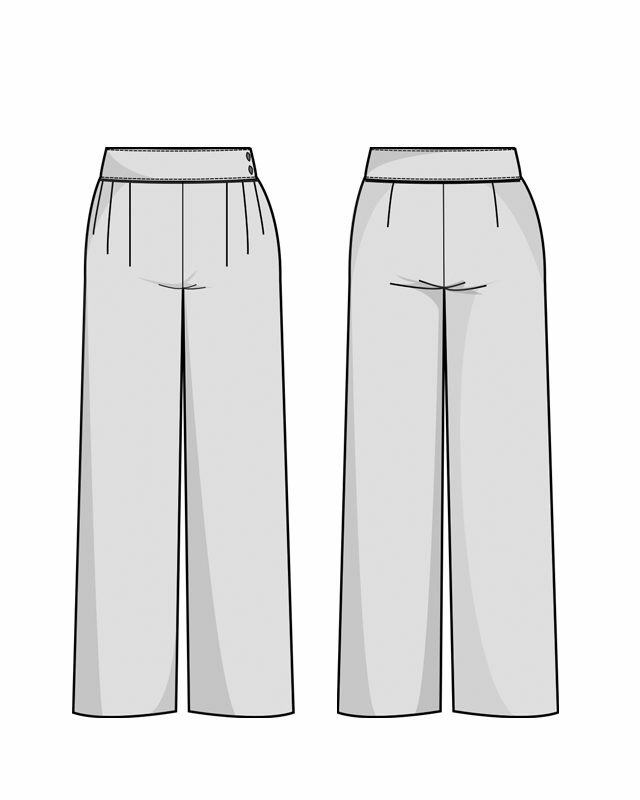 If you sew the trousers only, you can finish either the waistband or the side seams of the trousers with piping (optional)The trousers version is closed by two buttons. Choose a supple light to medium weight fabric with little or no elasticity. A very thick and/or stiff fabric is not suitable. As far as fibers are concerned, cotton, linen, thin woolen fabrics are appropriate. Opt for canvas, light denim, serge, or even crepe for a more flowing aspect.